The Kronfli brothers (Danny and Bobby) and chef Lior Hillel found enough success with this wine-friendly food bar (or vice versa) that they opened a branch called Bacari in Playa del Rey. The original features a black awning and interior with low-slung cushioned seating, blackboard menus and a wine bottle ceiling. Bacaro L.A. specializes in Mediterranean small plates, which cost $8 each or $21 for a choice of three. 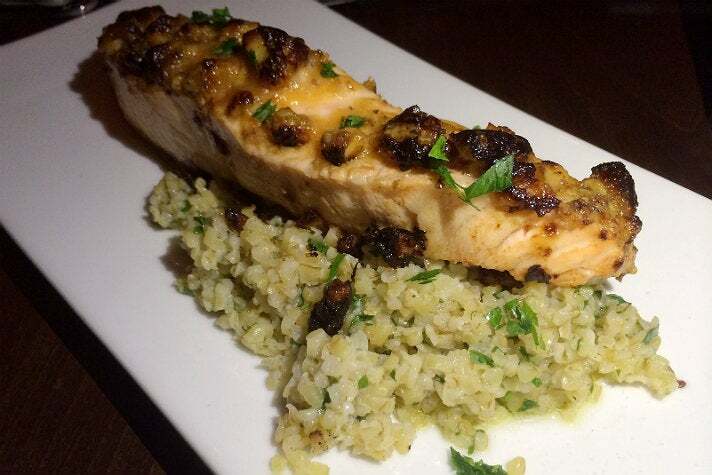 Top picks include slow-baked salmon with a walnut crust and a bed of garlic parsley bulgur. Grilled hanger steak comes with grilled zucchini and house-made Béarnaise. They also have an open-faced burger with tomato, caramelized onion, Worcestershire aioli, and (if you’re smart) a fried egg, all stacked strategically on a telera roll. Wilson Saguero and his family have run this Peruvian restaurant since 2008 in a freeway-friendly plaza. The space features concrete flooring, orange walls sporting cartoon cavemen with steaks on sticks and chicken on spits. Cavemen murals are also painted on the windows. 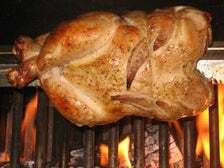 Peruvian plates, salads and burgers are all popular, but we’d recommend Caveman’s wood-fired rotisserie chicken, which arrives with a smoky bark, corn tortillas and a choice of two sides - try the stewed black beans and steamed white rice. The chicken has plenty of flavor, but your plate could still stand to incorporate a generous helping of pastel green aji sauce and spicy habanero vinegar. Eric Bae, a Korean-American entrepreneur, opened this Asian fusion gastropub with a Thai chef and Japanese focus. This combo might sound crazy, but the elements somehow mesh. The setting is fun, with copious amounts of wood, a communal marble table, a massive blackboard menu, paper lanterns, and a colorful mural depicting USC football players, dragons and R2D2, which all coexist. 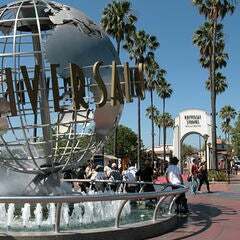 The music is upbeat K-Pop. 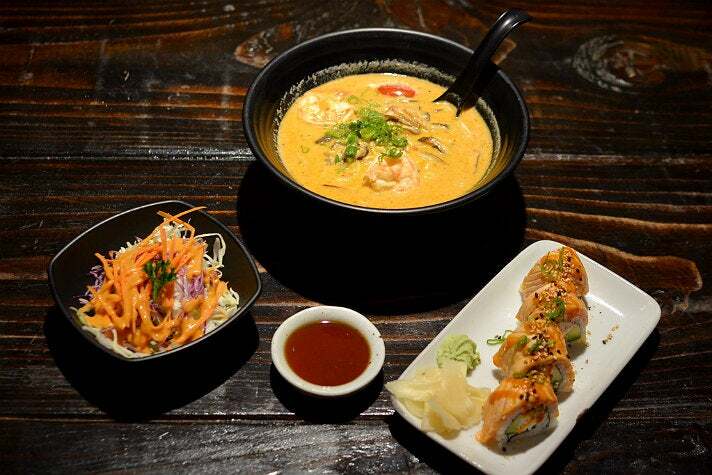 The menu features pretty standard selection of sushi rolls, bar bites and ramen bowls, but fusion does come into play in certain dishes. For instance, The Original Ebaes Ramen is crafted with coconut milk, chiles, mushrooms, tomatoes and green onion. Choose between chicken, and even better, shrimp. At lunch, you’re able to turn this ramen into a combo, possibly a seared salmon roll with crab, cucumber and avocado core. Hedge fund vet Sam Polk, founder of a local food-focused nonprofit called Groceryships, teamed with former private equity professional David Foster on Everytable. Their meals are uniquely priced for each neighborhood. Order from a menu printed in both English and Spanish. Their airy USC-friendly outpost features a Miami-style orange and teal color scheme, light wood tables with yellow accents, and shelves of prepared bowls waiting in eco-friendly containers. Everytable’s promise: “Locally made every day with wholesome ingredients and big flavor.” L.A. inspired bowls include Vietnamese chicken salad bowl with mung bean noodles, pickled vegetables and spicy chili-lime vinaigrette. 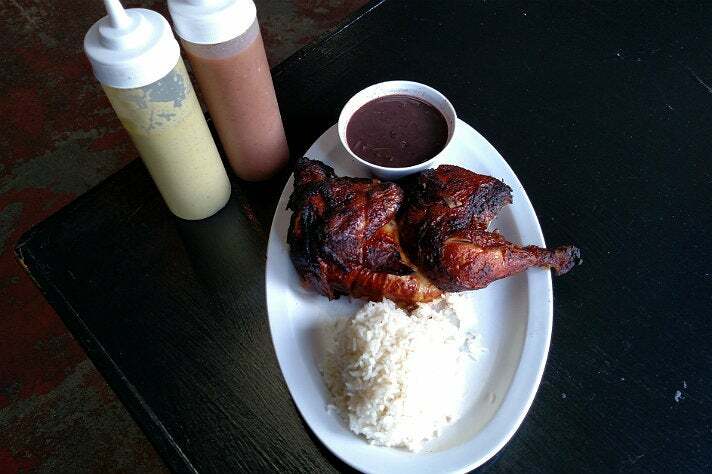 Jamaican Jerk chicken comes with rice, beans, carrot, yucca, plantain, and spicy jerk BBQ sauce. 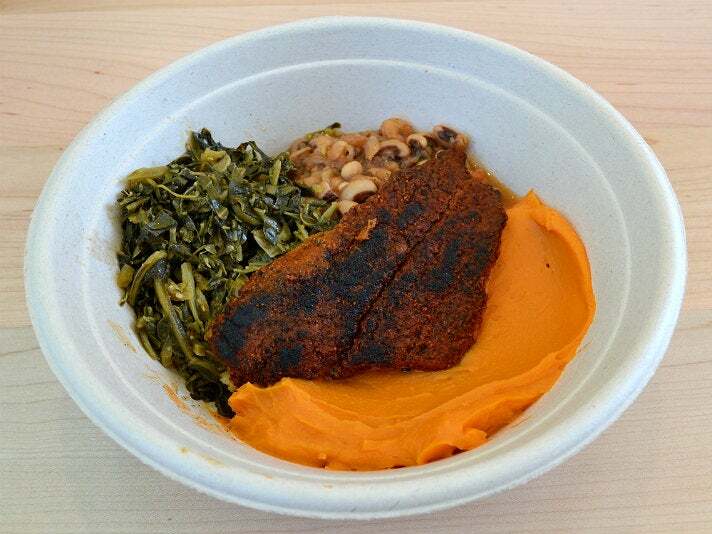 Cajun blackened fish features well-spiced tilapia with braised collard greens, black-eyed peas, and sweet potato puree. You’ll even find pozole rojo with hominy, tomato, layered spice from chipotle, guajillo, and jalapeno, radishes and chips for crunch. Two microwaves are available for reheating hot bowls. Cold bowls are ready to eat. With support from son Abishek, Renu Kayastha replaced Tara’s Himalayan Cuisine with Himalayan House in Trojan Square to start 2016. She and chef Samanta Khanal specialize in the cuisine of Nepal, India and Tibet. The space features red and yellow walls lined with photos of the Himalayas. Momo are dumplings available either steamed or pan-fried, with ground chicken preferable to veggies. Either way, take your dumplings for a dip in tomato achaar. Yak meat, rarely seen outside of the Himalayas, is brisket-like and stir-fried with green bell pepper, onion, tomato, ginger and garlic. 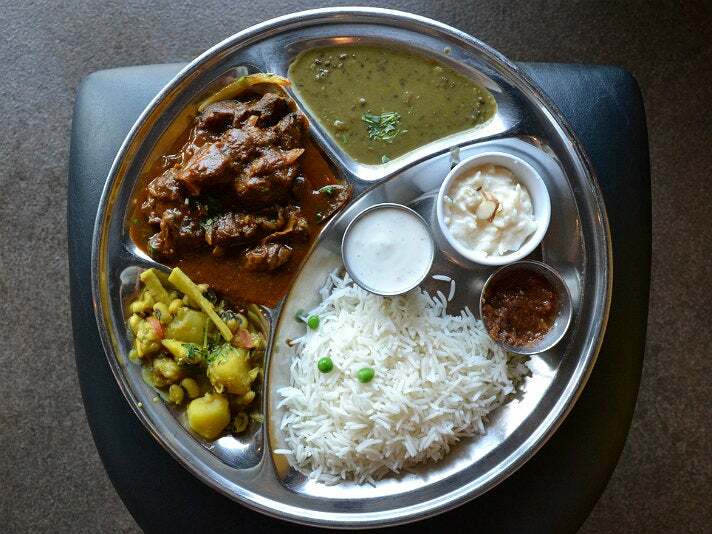 Other Himalayan House proteins include Pokhareli chicken cooked with coriander and mango powder, and a sizzling combo platter featuring chicken, lamb, and shrimp. At lunch, the Nepalese set menu is a good bet. 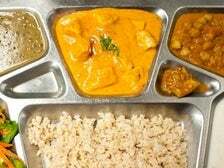 Choose from lamb, fish, vegetable, goat, or chicken and receive vegetable curry, lentils, raita, rice, and naan, plus a small rice pudding for dessert. 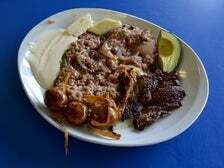 This Salvadoran restaurant from Edgar Navarrette and son Rolando has been a popular dining option at the Trojan Square strip mall since 1998. The space features blue tables, photo murals of El Salvador, an overhead menu, and counter service. 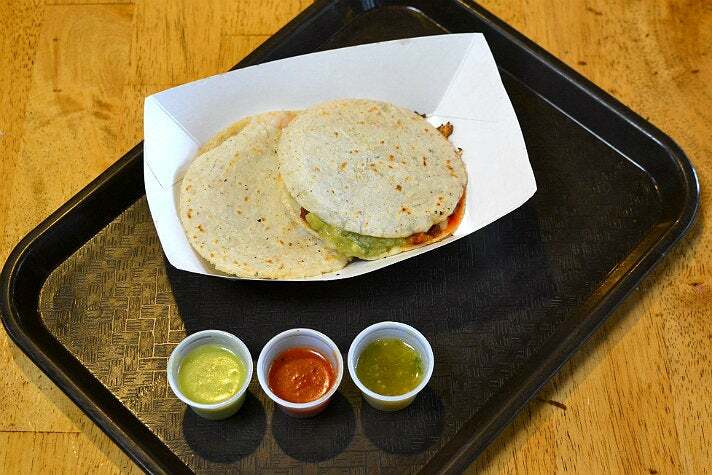 Yes, they have five types of pupusas with loroco, pork, beans or cheese, but dig deeper with stewed and grilled items. 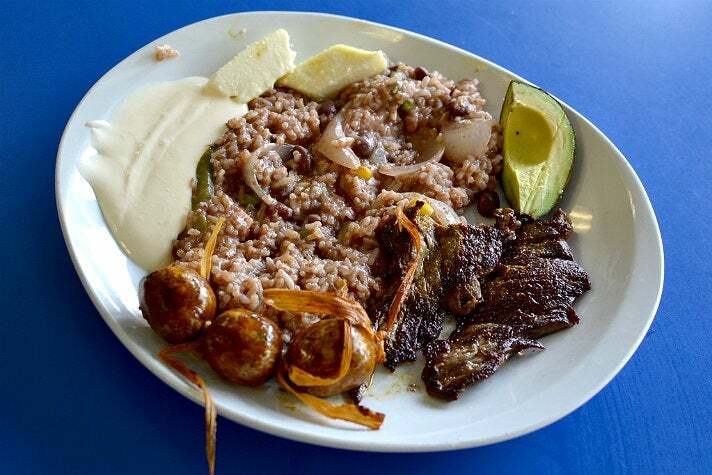 The Desayuno Especial is a great way to sample several different dishes for breakfast or lunch, with bulb-shaped chorizo, griddled carne asada, casamiento (mixed rice and beans) folded with onions and peppers, tangy sour cream, avocado and thick handmade tortillas that are almost creamy in the middle. Miguel Medina presides over La Casa de las Mulitas (“the house of mulitas”), which occupies the corner of a strip mall within shouting distance of USC’s Galen Center. The counter-service space features colorful lime green, orange, red and purple walls lined with decorative plates and Mexican art, skylights and wood tables. Sure, La Taquiza grills New York steak and seafood and serves nachos and mac & cheese, but they specialize in mulitas. This griddled corn tortilla "sandwich" cradles molten Monterey Jack cheese, creamy guacamole and choice of filling, which could consist of well-spiced pastor or plump shrimp. Alan Jackson has grown his colorful cafeteria-style concept into a juggernaut, with locations from Larchmont to LAX. 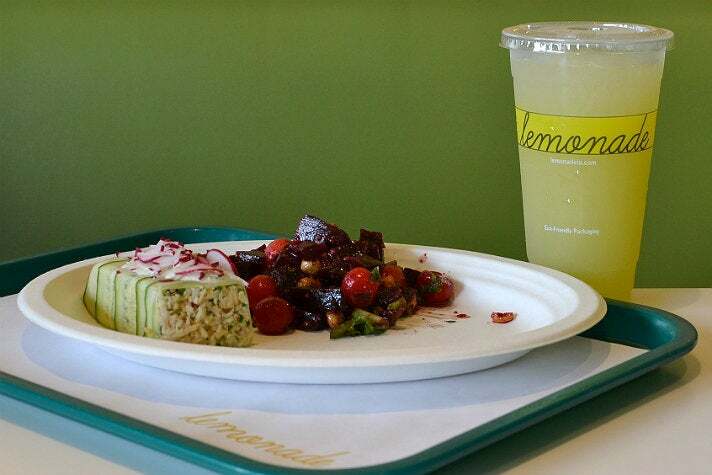 Lemonade now resides on the second floor of the Ronald Tutor Campus Center in the heart of USC. Pastel green chairs and grassy wallpaper primarily welcomes students and faculty. Bins hold a rotating selection of market soups, braises, sandwiches, salads, marketplace sides and selections from the land and sea. 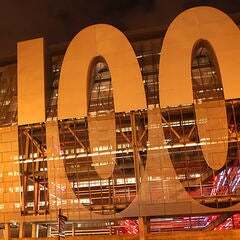 Options include roasted beets with melon, frisee and hazelnuts; smoked trout roll with a cucumber wrapper and radishes; and mac & cheese with cheddar, blue and Parmesan cheeses. Lemonade stocks a pastry case by the register and serves eight kinds of lemonade. Think pineapple coriander lemonade or guava limeade, both kinds simply crafted with fruit, water and sugar. The Dove Marketplace, a 34,000 square-foot building with Elizabeth Eve’s inviting mural, is a key project from the Esperanza Community Housing Corporation. 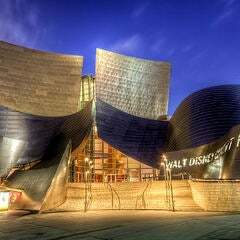 The community-minded organization leases first floor stalls to artisans and food vendors, some of which are very good. 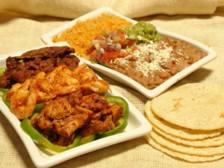 Chichen Itza chef Gilberto Cetina showcases Yucatan cuisine, including cochinita pibil, papadzules and poc chuc. 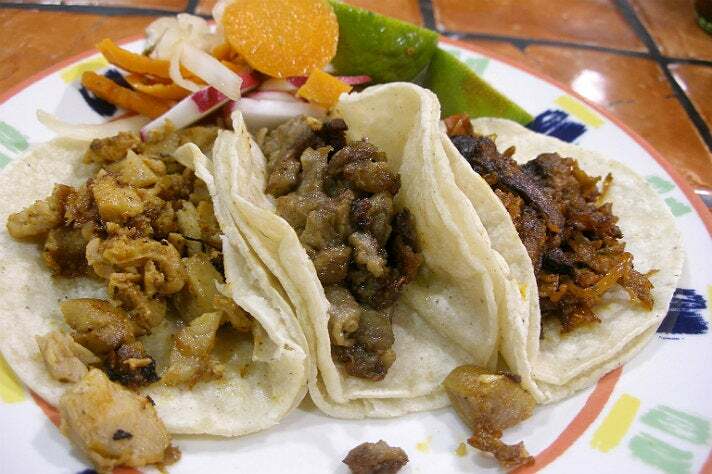 Raul Morales opened Taqueria Vista Hermosa in 2000, and this stall serves Michoacan-style tacos like spit-roasted pastor, carne asada and citrus-marinated chicken. Oaxacalifornia, from Juan and Sofia Antonio, serves ice cream in tropical flavors like guanabana and mamey, plus aguas frescas in flavors such as cantaloupe and chilacayote with sweet squash strands, seeds and a lime sorbet cap. The Kronfli brothers and Lior Hillel also own this coffeehouse, which serves as a de facto office for dozens of students per day. The partners fill a pastry case (conveniently located by the cash register, of course) with baked goods like croissants and cookies crafted with kale. Breakfast and lunch menus are populated with comfort foods, and the owners/chef are also prone to bust out specials based on their Israeli heritage. For instance, if they ever have sabich sandwich on the blackboard, order it. 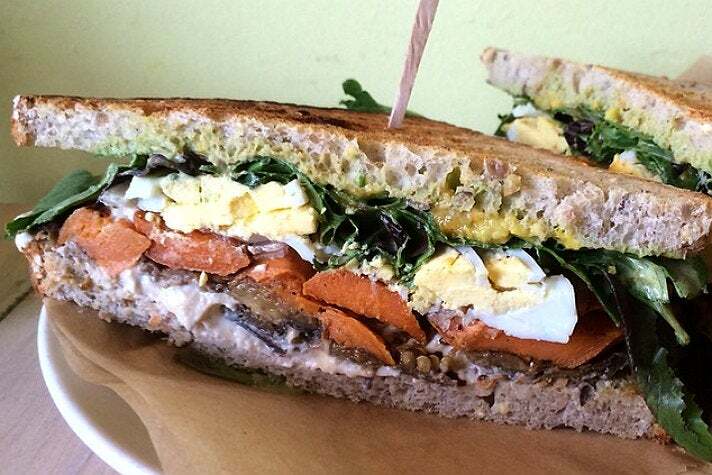 This beast arrives with roasted eggplant and yam, kale, tahini, hummus, hard-boiled egg and spicy-tart mango pickled called amba, all piled between two slices of toasted wheat bread. Fresh juice, a full coffee bar and creative smoothies also help to spur creativity. Farid Zadi and wife Susan Park have diverse culinary backgrounds, and they’ve fixed on North African tacos with their latest endeavor, which is designed to team flavor with value. The space sports grey walls, blue walls, wood tables and a patio with a communal table and drum smoker. A tagine appears alongside a molcajete on the single shelf. 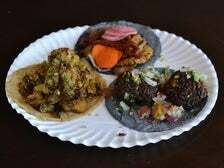 A highly customizable menu includes burritos, bowls and tacos, which are all available with options like roasted cauliflower, black-eyed pea falafel or smoked lamb. “Bling out your food” with multi-cultural condiments like kimchi curtido, red harissa or roasted tomatillo chermoula.